Three tools in one for coarse sanding, fine sanding and polishing. FastFix sanding pad system, tool-less. Eccentric motion for high-quality, scratch-free surfaces. 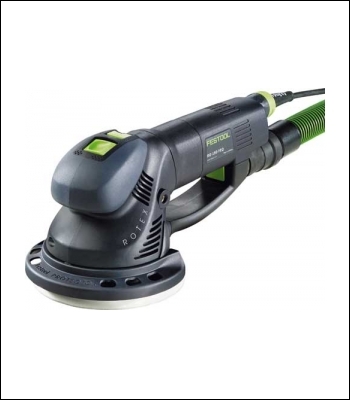 Sanding up to the edge thanks to the Festool PROTECTOR. Ideal ergonomic grip positions. ROTEX rotary motion for efficient material removal. Sanding off old paint and varnish. Sanding wooden materials. Renovation work such as sanding steps.